The apartment 'Shalom' of Hus Blinkfuer is a cozy, small fully furnished apartment with sea views and covered south-west facing balcony. 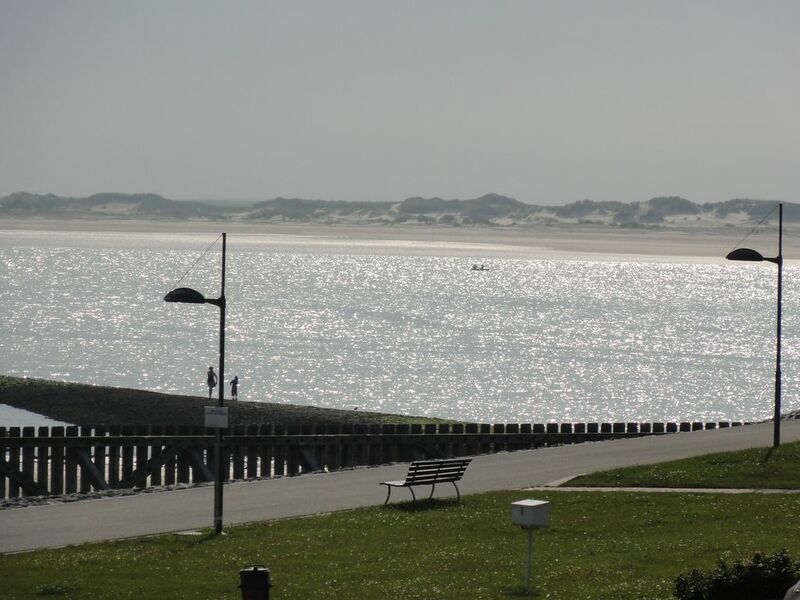 From the balcony (with binoculars) you can watch the seal banks of Norderney. To the apartment belongs a basement room where bicycles can be parked. Watt walks allow you to observe the nature of the national park. You can also spend your holidays on the beach or while surfing. We loved Baltrum. It is a small lovely island. The apartment is also small and a little bit dated, but clean and with everything you need. You have a Nice seaview, with beautiful sunsets! Small apartment with panoramic sea view and southwest facing balcony.